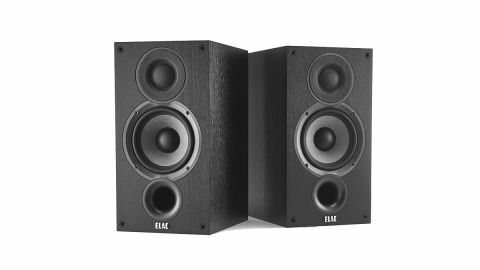 Elac Debut B5.2 review | What Hi-Fi? The Elac's original Debut speaker range was launched around three years ago to a fair amount of acclaim. Now it's back with Debut 2.0, and these are the entry-level Debut B5.2 speakers. These new drivers positively demand a better foundation to work from and Elac's engineers have obliged with a more rigid, braced MDF enclosure. This is claimed to display fewer resonances and add less distortion to the sound than that found on the previous model. Connection to the amplifier is through a pair of solid single-wire terminals. Elac's engineers have done a decent though not class-leading job here. The B5.2s aren’t quite as forgiving of partnering electronics as either the Q Acoustics 3020is or Dali’s Spektor 2s due to a presentation that leans more towards analysis than smoothness or warmth. Any shortcomings of the partnering electronics aren’t hidden, but thankfully, not exaggerated either. These speakers merely reflect the quality of the signal fed to them rather than try to sweeten it.